I've been enjoying Travel Time Tuesday so much and have been posting so much content (twice a week lately) that I decided to move all of it to it's own blog. 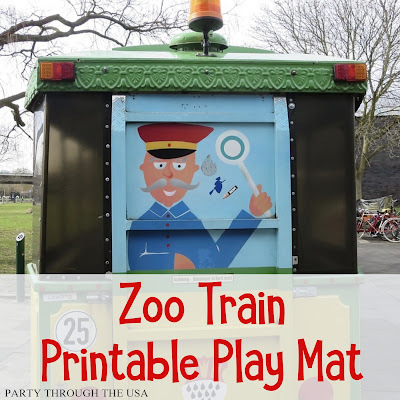 The zoo train blog post is now at my new site- Party Through the USA. Click on the picture to go to the train printable post. Thank you for commenting. I fixed the link and it should work now. Sorry for the inconvenience. I'm usually doing way too many things at once on the internet.